Do you ever wonder why you do what you do everyday? Do you ever feel like sometimes you don’t want to participate in a certain activity, or wonder why you listening to that song, or acting that way? Do you ever feel like your just not yourself more often then not? I feel like we have all felt this way at some point in our lives or are feeling these feelings right now. So why is it that we feel these feelings? Lets dig in! I’m no expert but I’m pretty intuitive and I believe wholeheartedly that our surroundings play a huge role in the way we act or view ourselves. If your surrounded by lots of people who are well educated and sophisticated you will start taking some of those qualities as well. Same goes for the exact opposite, if your surrounded by people who are unmotivated and lazy then sometimes you start taking on some of those qualities too. They way we dress and act towards each other, male and female is primarily influenced by your family but society does play a role in influencing you through T.V., music, and magazines . On one spectrum your family has a way they raised you, the taught you how to treat one another, the way you should dress appropriately, how to speak to each other and how to live your life. Then on the opposite side is society, That scandalous is the new way to live your life, be a little crazy, act a little reckless , to whatever you want , no regrets, etc.. In the jumble of all these opinions really comes down to one simple thing, your God given right to CHOOSE. God didn’t make us robots so that we did everything a certain way, not even close! God gave us a choice. Just like is says in Galatians 5:13 – For, brothers, you were called to be free. Only do not let that freedom become an excuse for allowing your old nature to have its way. Instead, serve one another in love. God wants you to judge each situation with wisdom and righteousness. He wants you to have a good time, be you, express yourself, but just like the father He is, He wants to make sure your living your life to fullest and wisely. Just like the Bible says in Romans 12:1-2 – i urge you therefore, brothers and sisters, by the mercies of God, To present your bodies as a living sacrifice-holy and acceptable to God- which is your spiritual service. Do not conform to this world but be transformed by the renewing of your mind, so that you may discern what is the will of God- what is good and acceptable and perfect. 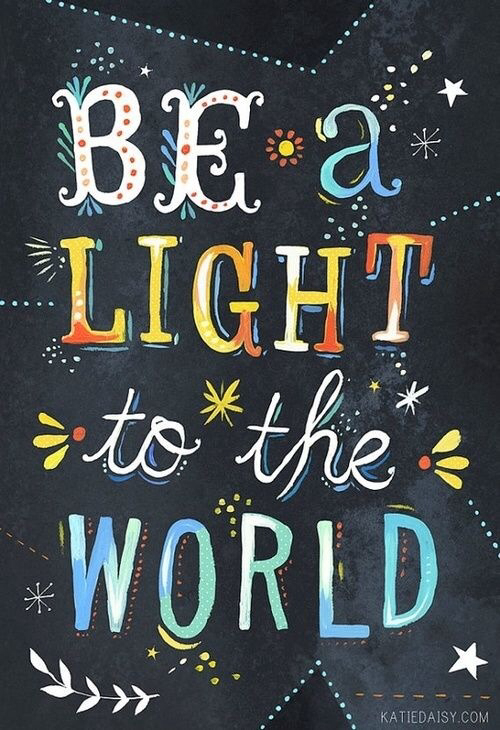 Do not follow after the things the rest of the world does (a.k.a society) because He has called us to do greater , make a difference , and be a light! You can’t really be a light or make a difference if you don’t allow your self to be you and step out of your comfort zone. When I was in High School struggled with this vary problem I didn’t know who I was really, or what I followed in my heart. Sometimes the noise of the world distracts me form God and I get caught up in the mix of things. I figure it’s better to be like everyone else because we’re all on the same page. But eventually I decided to just let go and listen to that tug in my heart telling me to stop living a mediocre life and to just not be afraid to be me! It was hard at first, I felt insecure , like everyone was wondering why I wasn’t wearing the latest fashion, listening to a certain song, or going out all the time on the weekends. I quickly began to realize that the people I CHOSE to surround myself didn’t have the same beliefs as me, they cared about things I didn’t care about and they ridiculed others for being different. No wonder I felt that way!! I was surrounding myself with people who didn’t like being different, who didn’t want to make a change, they enjoyed being mediocre. Slowly but surely I started being me and getting more and more comfortable with expressing my differences with my friends and everyone around me. The people I was surrounding mysef with would take a notice and most thought it was weird, some ridiculed me for it and a few appreciated it! Eventually I CHOSE to only be around the people that were different from the bunch. I lost a lot of friends, but in the end I realized that they were not there to appreciate my individuality and expressiveness, which means they were never there for me to begin with. Its hard at first for anyone taking the step to step out of there comfort zone and just be yourself but I’m telling you , it’ll be worth it later on. Not only is it good for you so you can be comfortable in our own skin, but your not giving in to the mediocre way of livng like the rest of the world. This can work for any aspect of your life, such as they way you speak, dress, and act towards people. Making this change in your like if completely your own CHOICE, but if you choose to live in fear and just not want to change, just know you could have been dong something better with your life and making a change for others in a way only you can express to the world. Living A Life Of Calling..
Mathew 5:14-16 says, You are the light of the world. A city set on a hill cannot be hidden. Neither do people light a lamp and put it under a basket. Instead, they put it on a lampstand so it gives light to all in the house. In the same way, let your light shine before men so they may see your good works and glorify your Father in heaven.” You were called to be different , make a difference and be YOU! That’s Gods ultimate plan. Not to be like everyone else, but to express yourself , your individuality and creativity in a way that’s good and unique to you , and that can be a positive outlet for others for God to work in there life. You can’t do the fixing, but you can help guide others to the one who can! Even if you work at Mcd’s and ask everyone through the drive through if they would like to add fries with that? You can be a positive influence to someone. You never know what effect you have on another person, so make is count and make it meaningful! God will do the rest. Even if you are not where you want to be in life, Wrong job, wrong city, single , no family of your own, widowed, divorced.. The list goes on! Just know that everything in life is temporary. So while your in each transitioning phase, make the best of it! I know it’s easier said then done, I’ve had many incidences where I didn’t my job, or I wanted to get out of my city but couldn’t accomplish that goal until I had enough funds or found a particular state I wanted to reside in, but you can’t just hate your life while your waiting for something better. You have to embrace the transitioning phase until you arrive to the next chapter in your life. Have you ever noticed that one person around you who seems to just be happy to be themselves and doesn’t mind being different? Can you see the way they act and live life? They always tend to be more positive, reflective and creative. Almost like they know how much they are loved , they know deep down that they were called to be different and they chose to act upon it, and they feel free! That my friend can be you! Will be you! All you need to do is CHOOSE.